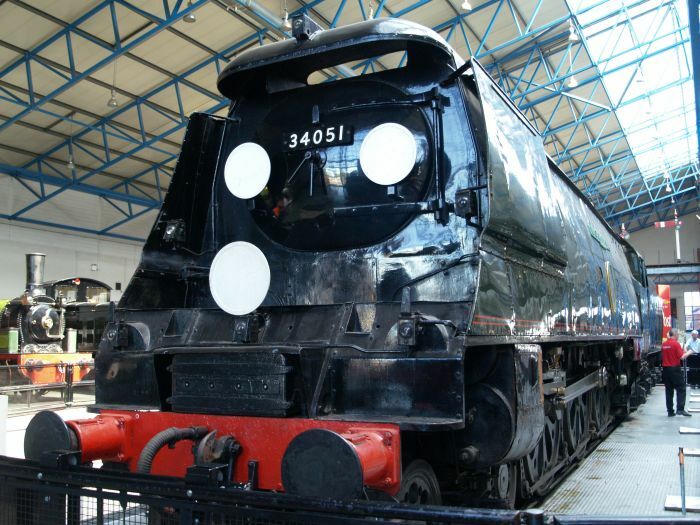 Ex SR Class Q1, SR 0-6-0 number C1, BR locomotive 33001, 'Austerity Design' by Bullied and built at Brighton Works in 1942. 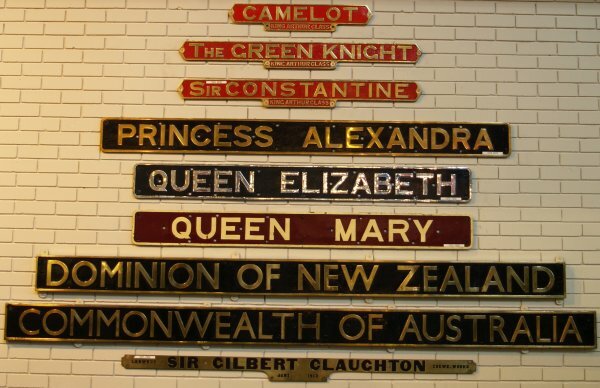 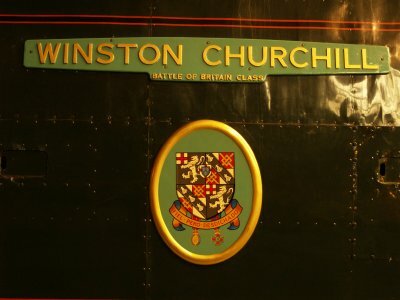 The cab and nameplate of Class WC (West Country) and BB (Battle of Britain) 4-6-2 pacific design by Bullied, SR 21C151, BR 34051 "WINSTON CHURCHILL" was built at the Southern Railways locomotive works at Brighton in 1946. 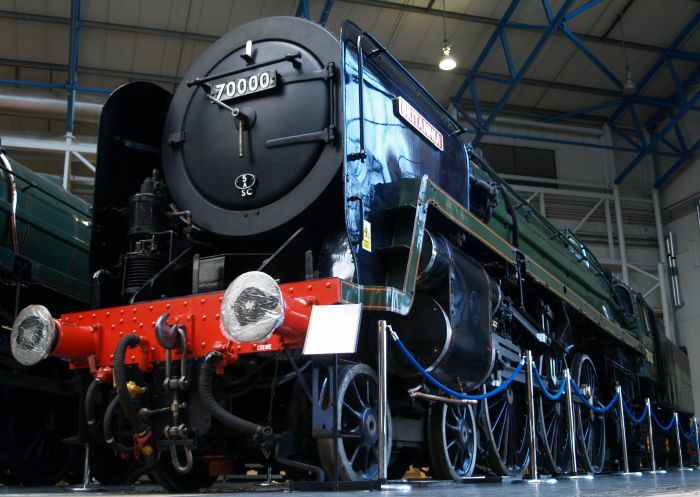 Class MN MERCHANT NAVY Ex SR/Br 35029 ELLERMAN LINES is a 4-6-2 Pacific Locomotive, the most powerful express passenger locomotive built for the Southern Railway. 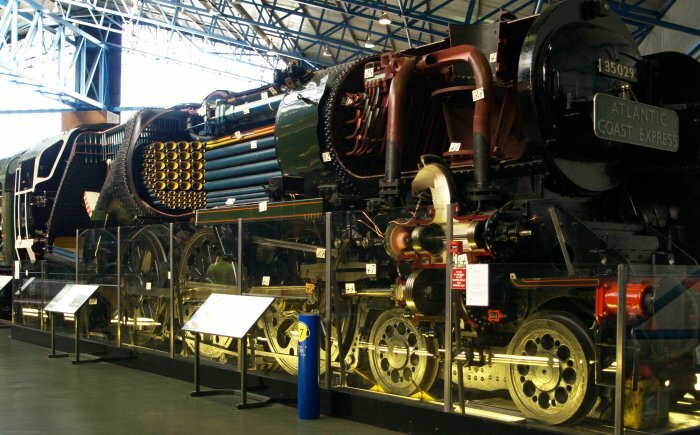 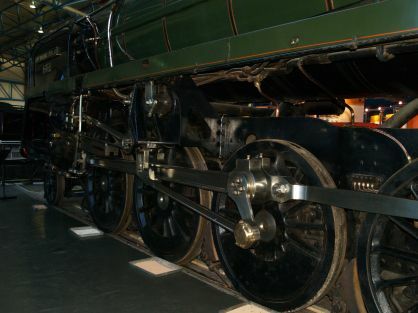 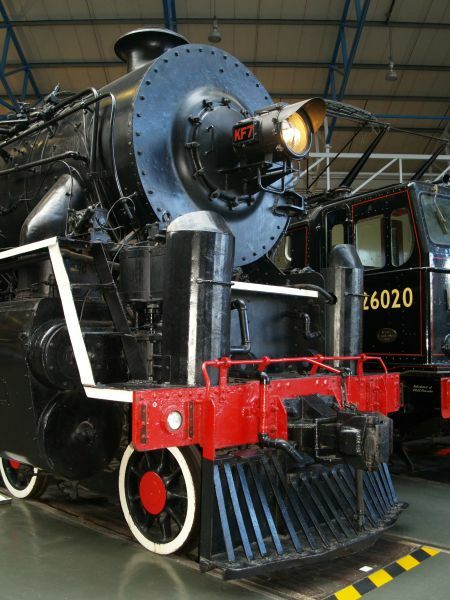 One half of it is 'cut open' to show how a steam locomotive works. 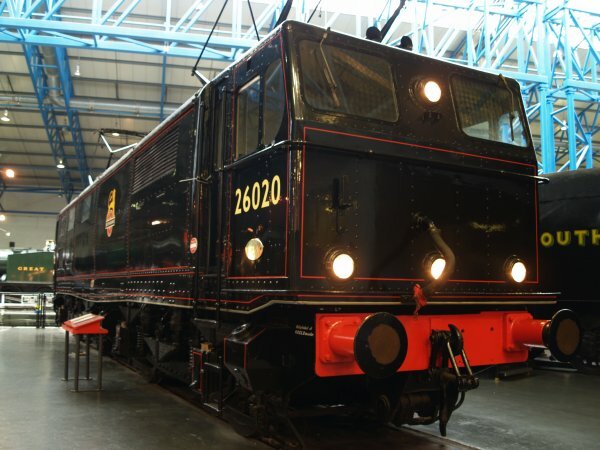 Electric locomotive 26020 built at Gorton Works, Manchester for working the electrified line from Manchester to Sheffield through the famous Woodhead Tunnel. 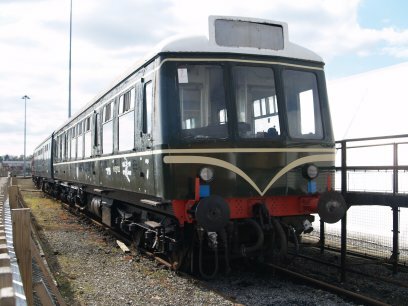 1500 DC overhead pantograph contact, BR type 76 E26020 76020. 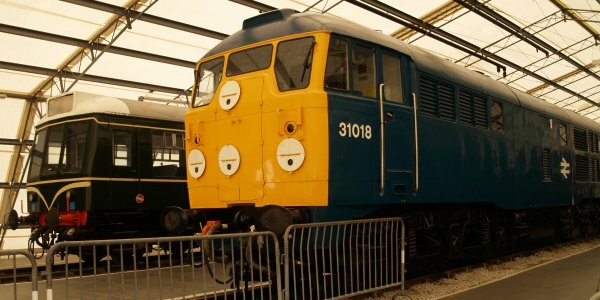 ... unlike its later 08 911 'MATEY'! 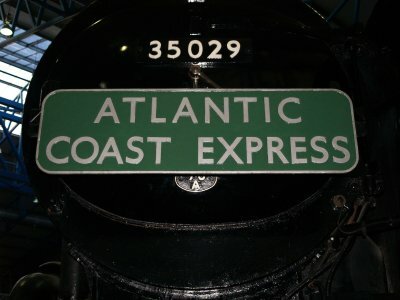 next to it! 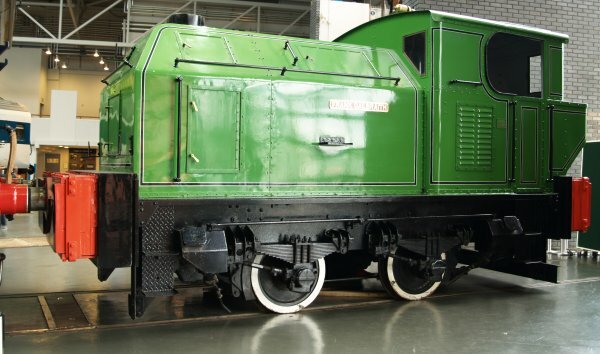 A case of before and after! 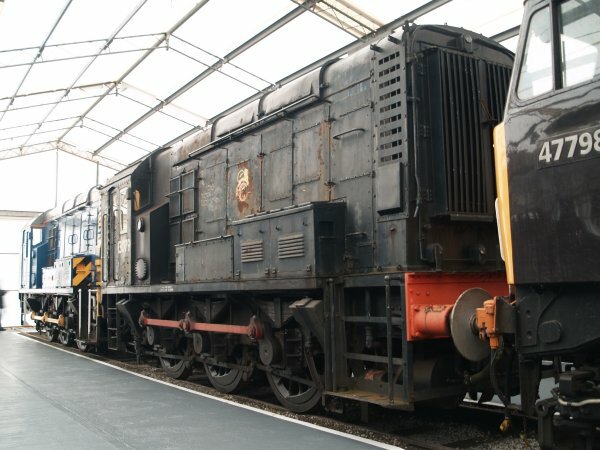 Class 08 D 4141, 08911 (D4141, 08 911) named 'MATEY' is an 0-6-0 diesel shunting locomotive built at Horwich Works in 1962 and is now owned by the NRM and shunts locos around York national railway Museum. 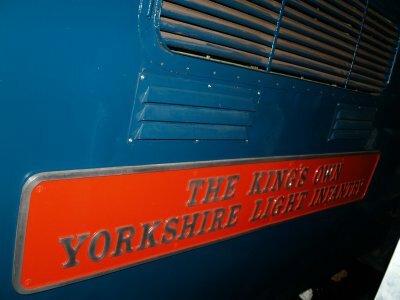 ... and still working at the RAILFEST in 2012 with the York National Railway Museum Volunteers! 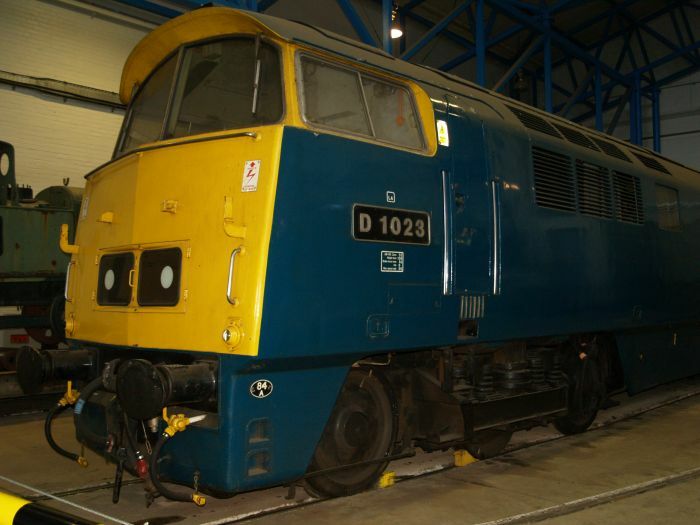 D1023 WESTERN FUSILIER Class 52 C-C diesel electric locomotive built at Swindon in 1963. 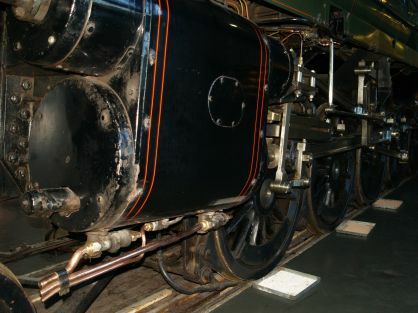 Express passenger locomotive for working trains to the West Country and Bristol etc. 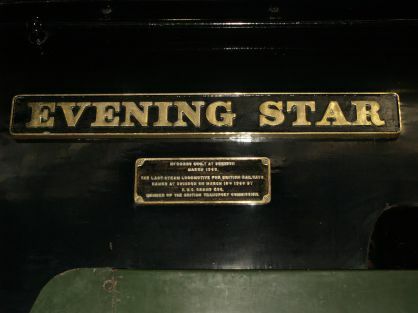 Nice to see the smart brass/metal number plate tradition of the GWR was maintained. 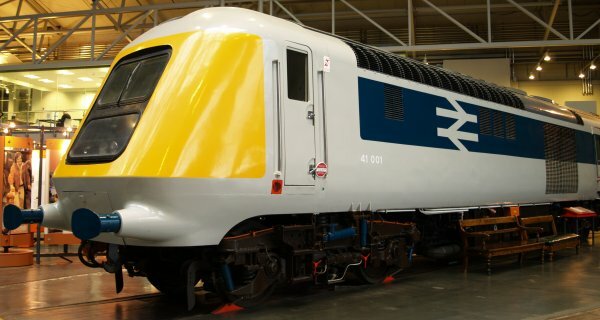 Class 252 APT 252 001 or 41 001 High Speed Diesel Train built at Derby Works in 1972 (Prototype HST Power Car 41001, 43000 Advanced Passenger Train). 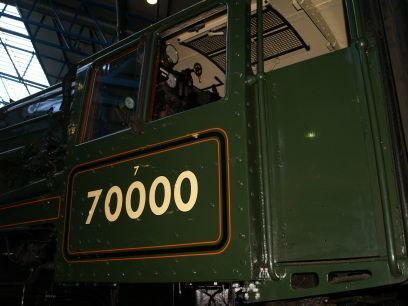 5000 h.p. 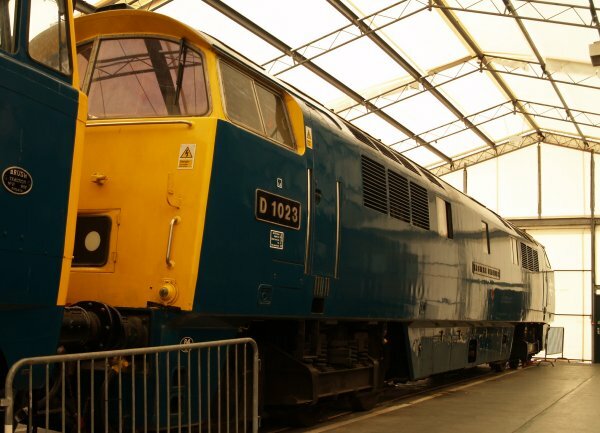 25 kV AC overhead power line express passenger electric locomotive Class 87 001 STEPHENSON or 87001 ROYAL SCOT that worked on the West-Coast mainline and built at Crewe Works in 1973. 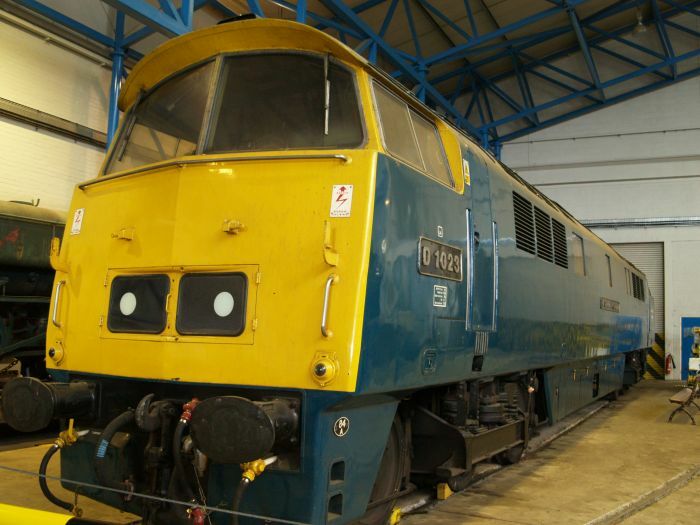 Seven years younger than the type 87 above, the 3730 h.p. 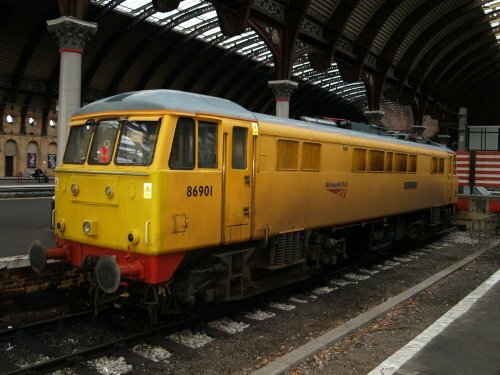 Class 86 (86901 86 901) standing in York Station. 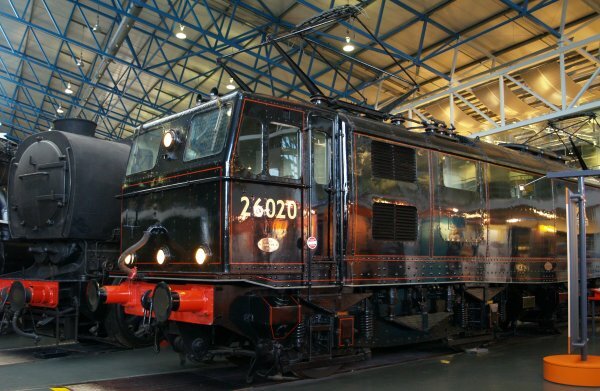 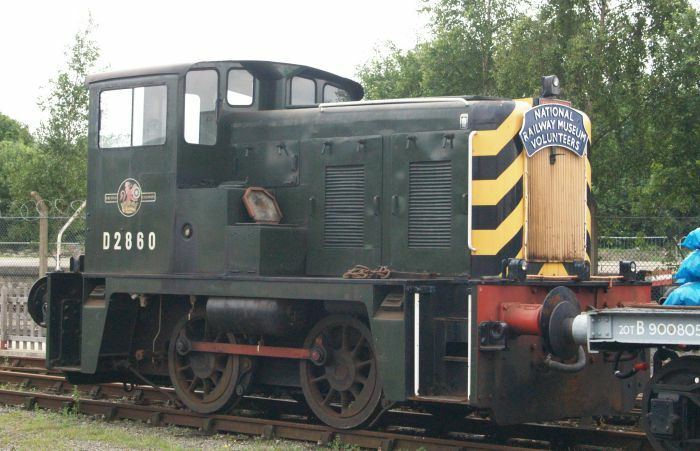 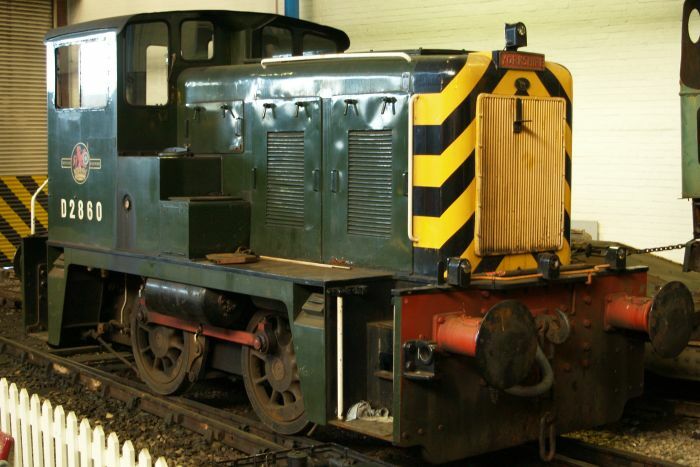 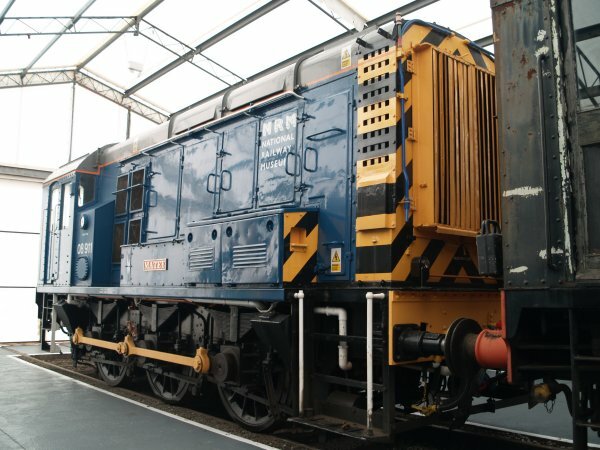 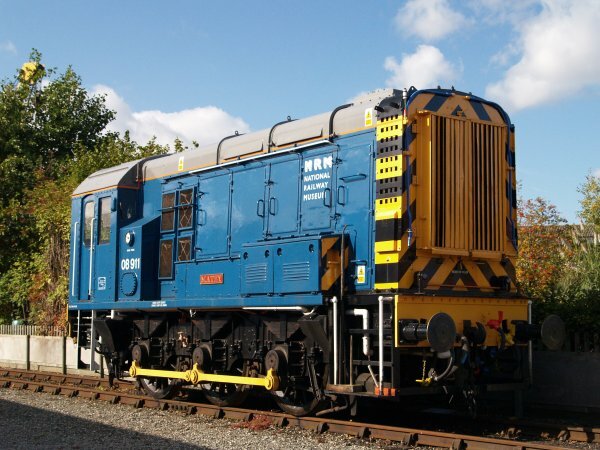 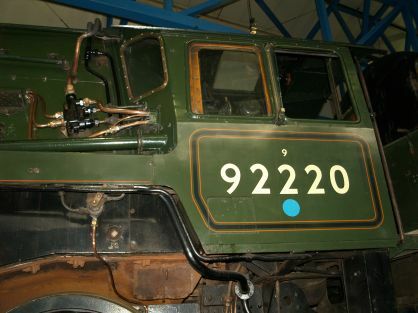 It has been named CHIEF ENGINEER and belongs to Network Rail and is 'employed' on track maintenance duties. 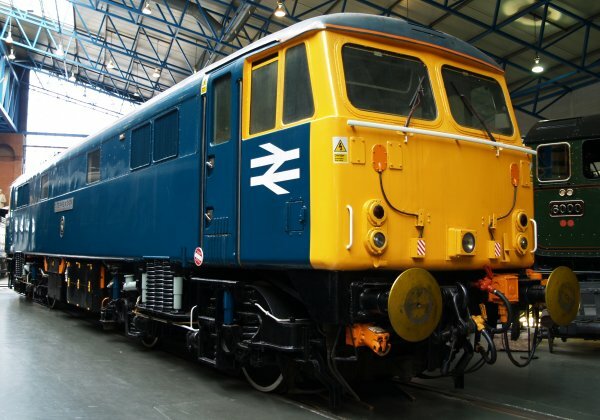 It was built at Doncaster or English Electric Company at Vulcan Foundry, Newton-le-Willows 1965-1966. 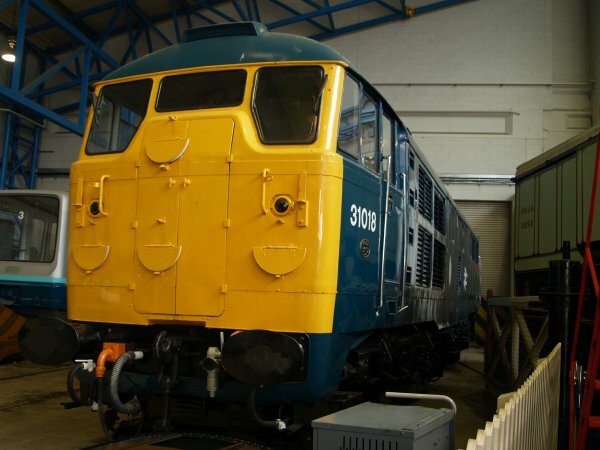 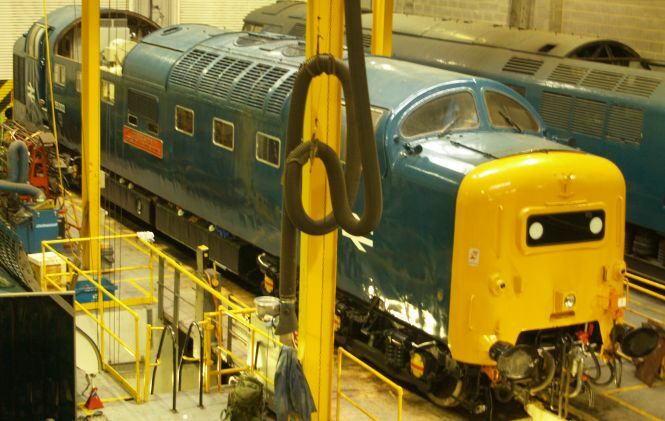 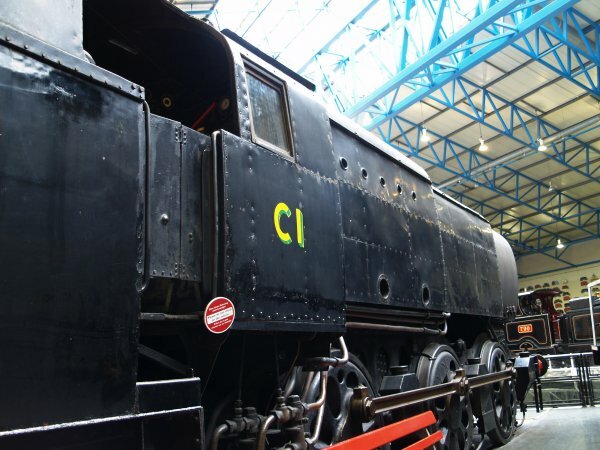 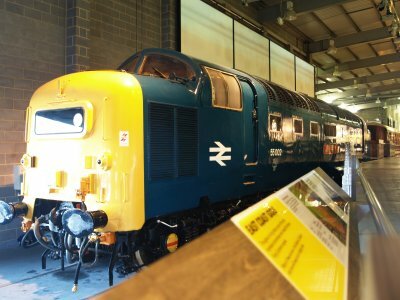 This brightly coloured yellow locomotive might well end up in a museum itself! 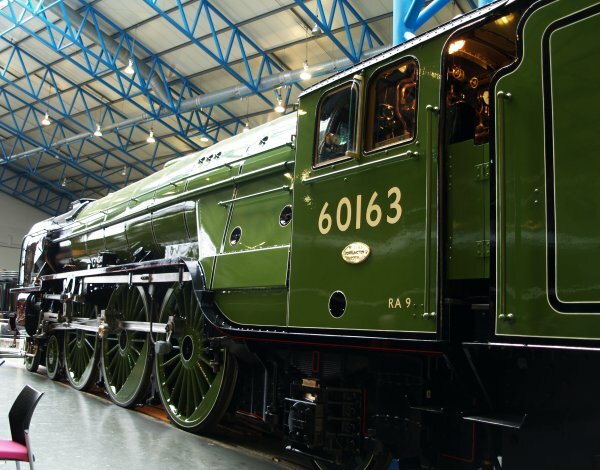 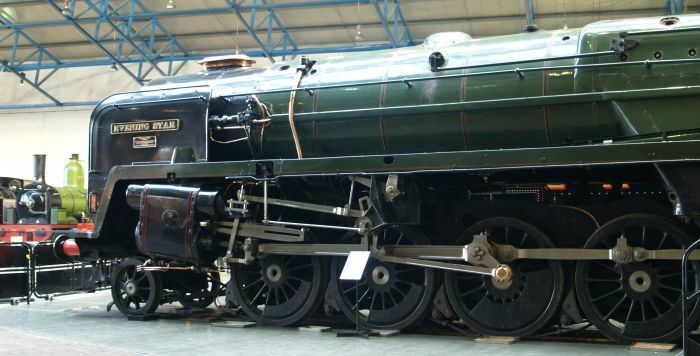 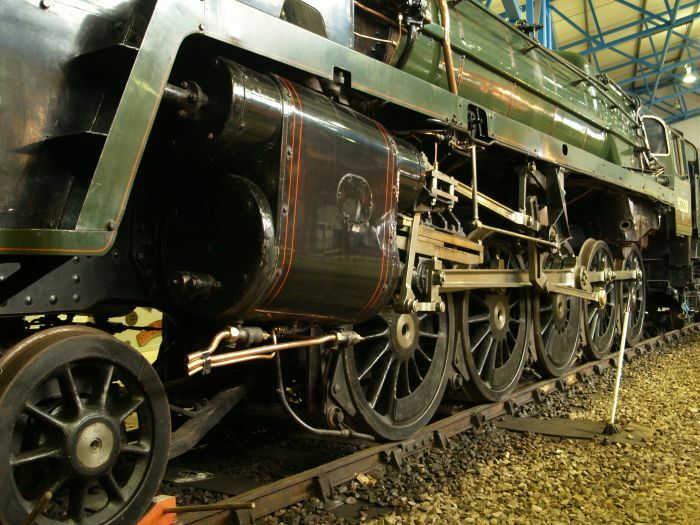 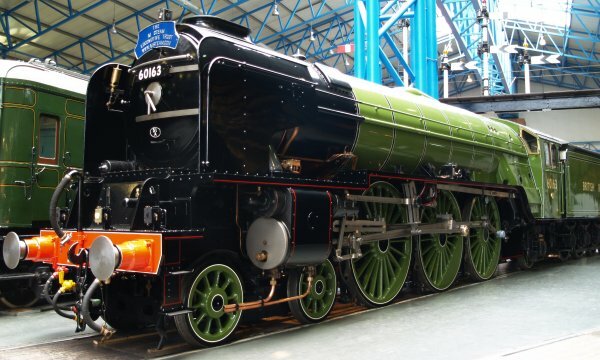 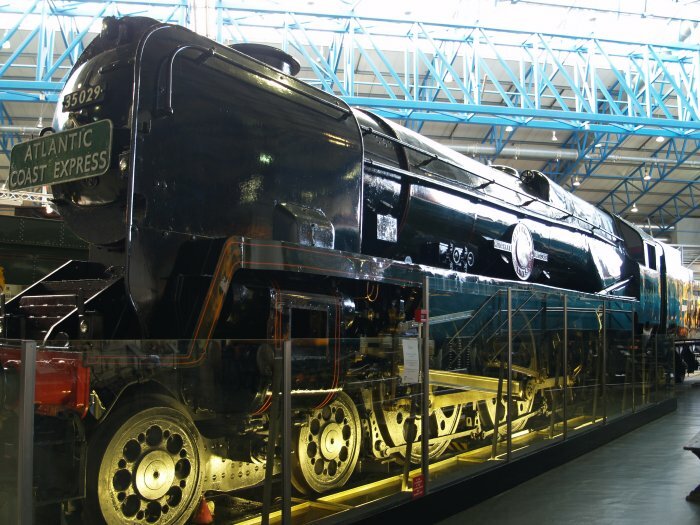 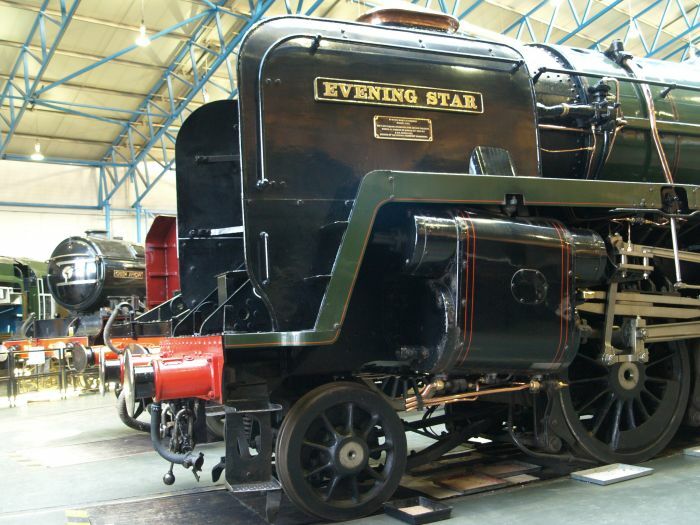 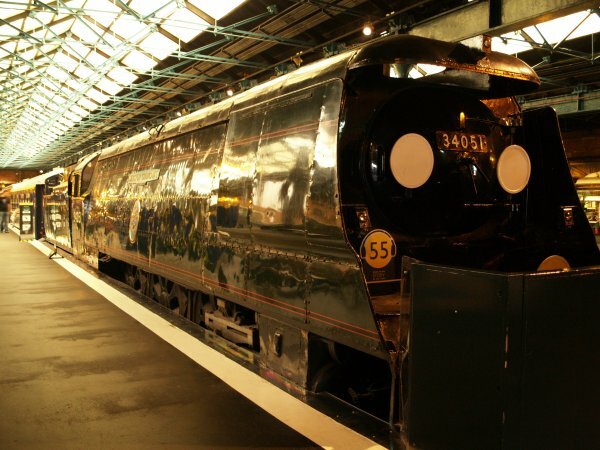 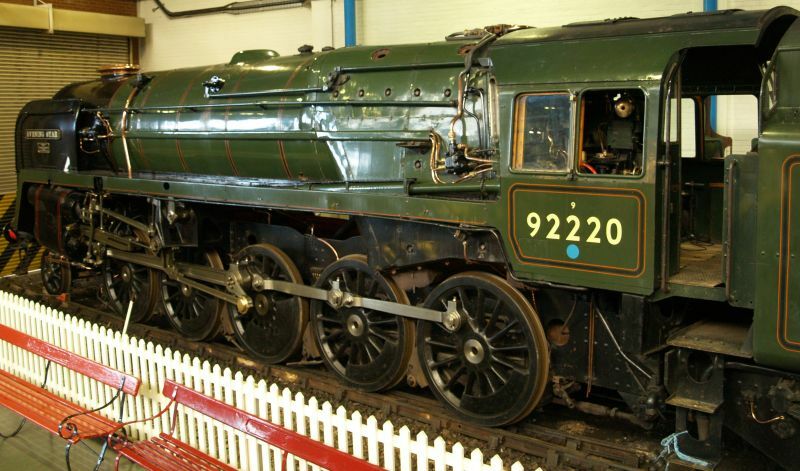 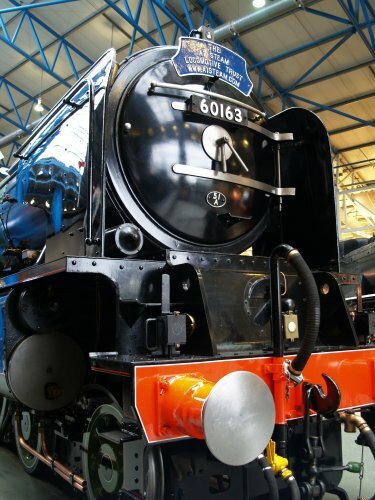 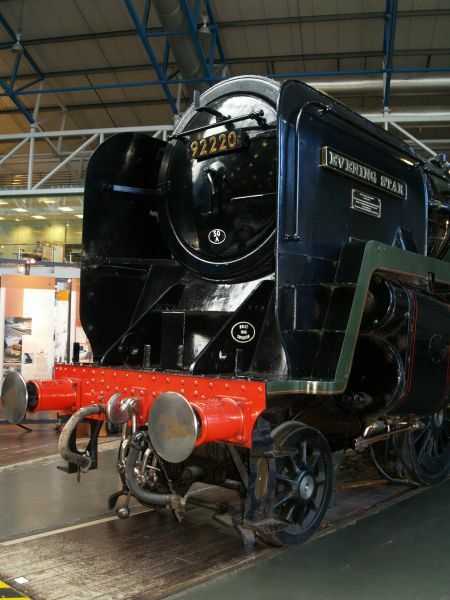 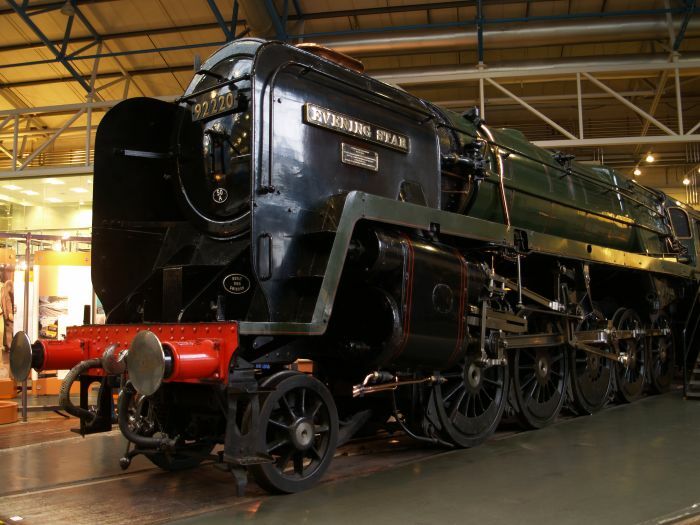 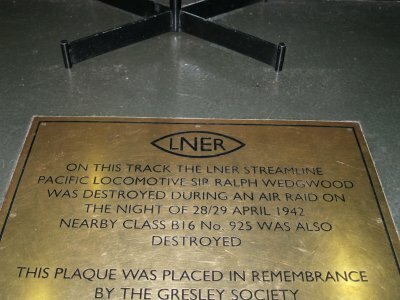 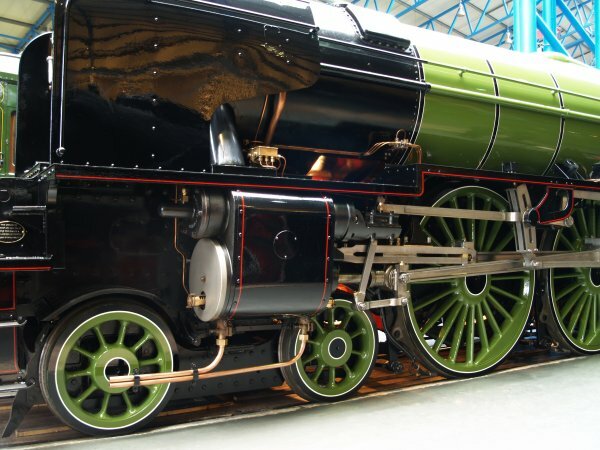 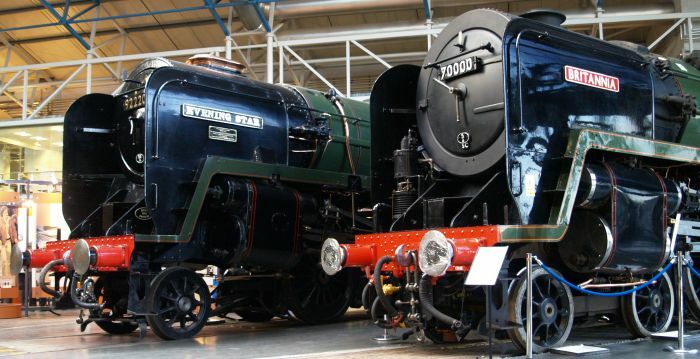 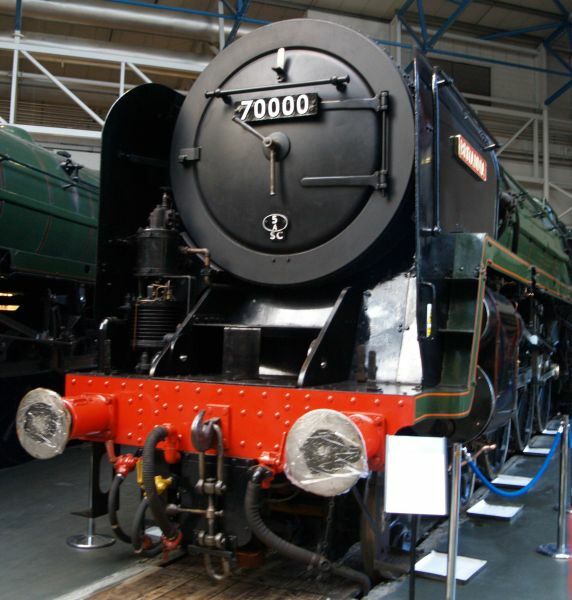 They were built from 1948-1949 and all were scrapped by British Railways by 1966, so the A1 Steam Locomotive Trust raised the funds to construct a 'new-build' at Darlington, which was completed in 2008. 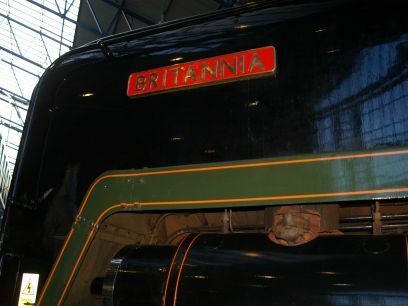 Photographed before the nameplate was fitted. 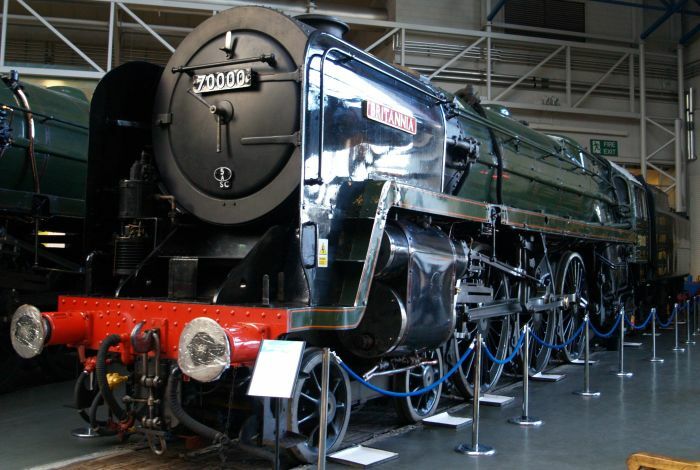 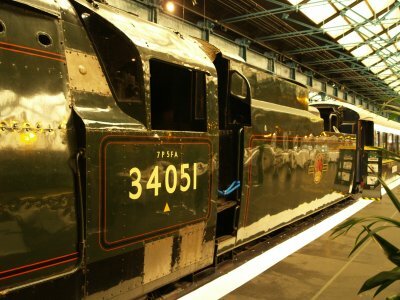 The NEW Peppercorn A1 Class express passenger locomotive whose forbears worked the east coast mainline from London Kings Cross to Edinburgh. 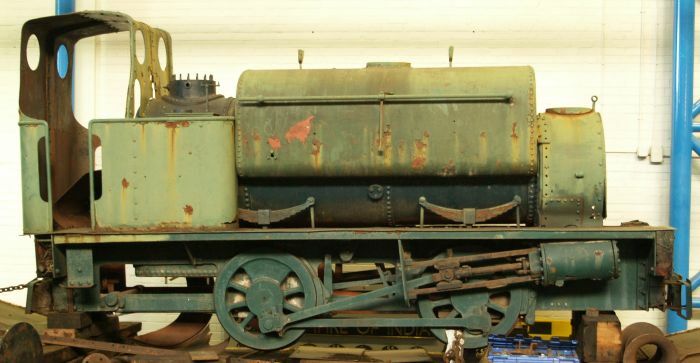 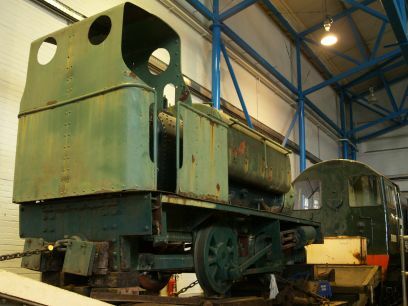 An old 0-4-0 saddle tank shunting engine Origin? 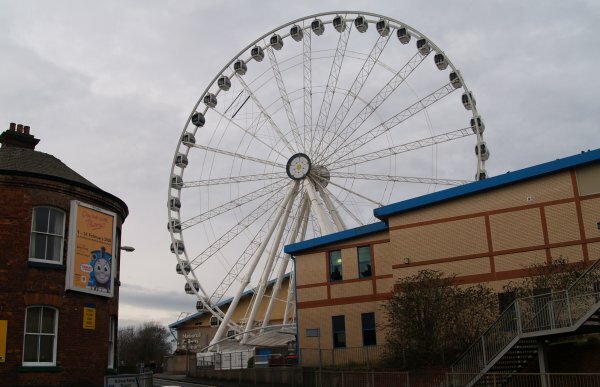 Even the Yorkshire Wheel paid a visit! 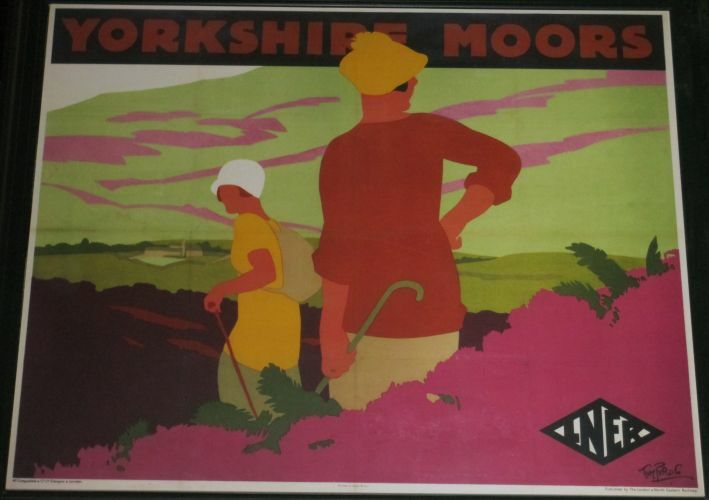 LNER advertising poster to take a train to explore the Yorkshire Moors.